A powerful explosion in a Chinese city south of Shanghai brought down buildings in a neighborhood marked for demolition, killing at least two people, state television reported on Sunday. 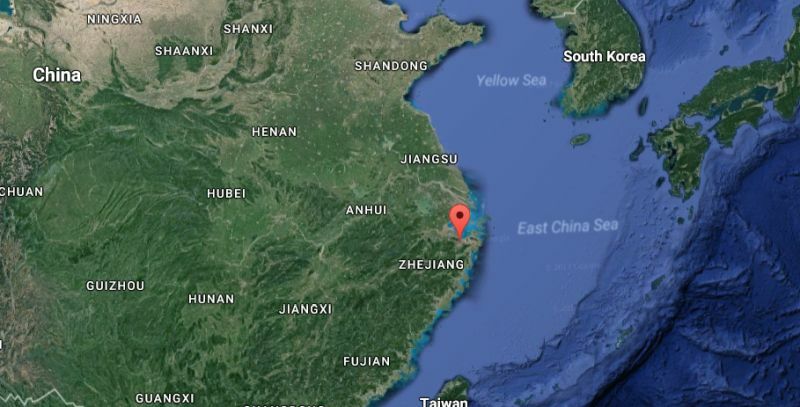 The explosion struck at around 8:50 a.m. (0050 GMT) in Jiangbei district in the port city of Ningbo in Zhejiang province, China Central Television (CCTV), which is a Chinese Communist Party mouthpiece, reported. Police said the cause of the blast was still uncertain. A “huge tremor” was felt in the vicinity when it hit, CGTN, a network operated by state-run CCTV, wrote on Twitter. The force of the explosion destroyed the roofs of two buildings at the site of the blast, which the outlet said were already structurally unsound. It also shattered windows and punched holes in the walls of some residential and commercial properties as far as a kilometer away. Images also showed a few flattened cars and a low-rise building with a collapsed wall. The state broadcaster said two people were killed, while 16 were slightly wounded and two were in serious condition. CCTV said the blast was not a gas explosion, as the gas pipelines beneath the ground were no longer active, citing the operator of the pipelines. According to the state-run Zhejiang Daily, the buildings that collapsed had already been cleared of people. Police told Reuters the area had been marked for demolition. The state-run People’s Daily, also a Chinese Communist Party mouthpiece, posted aerial photographs of firefighters working at the site of the blast – an open area of debris and broken concrete. 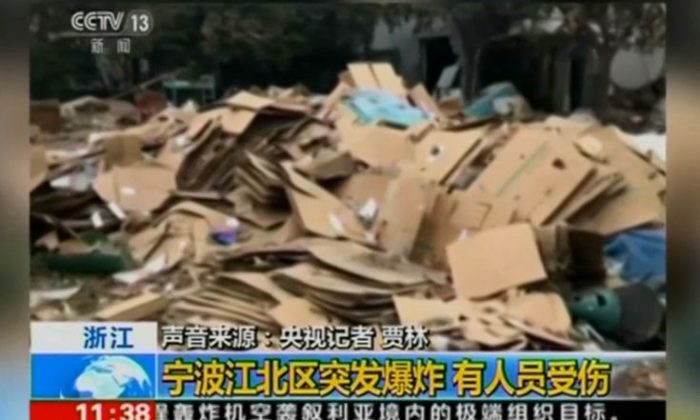 The newspaper said there were no residents at the site of the explosion, though there might have been rubbish collectors at work when the blast occurred. Another photograph posted by People’s Daily showed grey smoke rising over the skyline of the city of Ningbo, about 100 kilometers (62 miles) south of Shanghai. Rescue work and an investigation into the cause were under way, local police said on Weibo. Blasts and other accidents are common in China due to patchy enforcement of safety rules, although the government has pledged to improve checks to try to stamp out such incidents.